The shoemaker launched the LQD Cell (pronounced "liquid cell") Origin AR as a limited release on Thursday. The sneaker is the first of a series that will see several successors over the summer, packed with technology targeted at the wearer's comfort. As you can see from the images of the LQD Cell Origin AR, QR codes adorn almost the entire surface of the product. 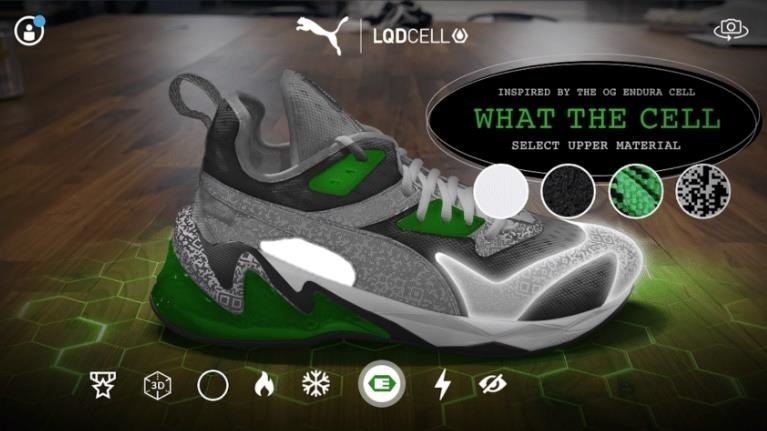 When scanned by the camera view of the LQD Cell app for iOS or Android (which is not yet available, but is scheduled to arrive on Google Play soon), the shoes unlock an array of AR experiences. 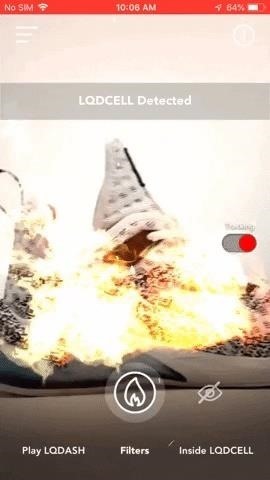 Once the sneaker-based AR experience is triggered by the app, several AR filters either set the shoes on (virtual) fire. There's also an option to explode a 3D model of the shoe for a view of the deconstructed product. As one would expect, users can capture images of all the experiences to share with others. The app also offers games, such as LQDash, an endless runner game that unfolds in the user's environment. (You don't have to have the shoes to play this game.) More filters and experiences, such as turning them invisible, or making the mobile device's camera feed resemble a drone or surveillance camera, will arrive alongside future shoe releases. The shoes are available in two styles via the company's website for $120 a pair. 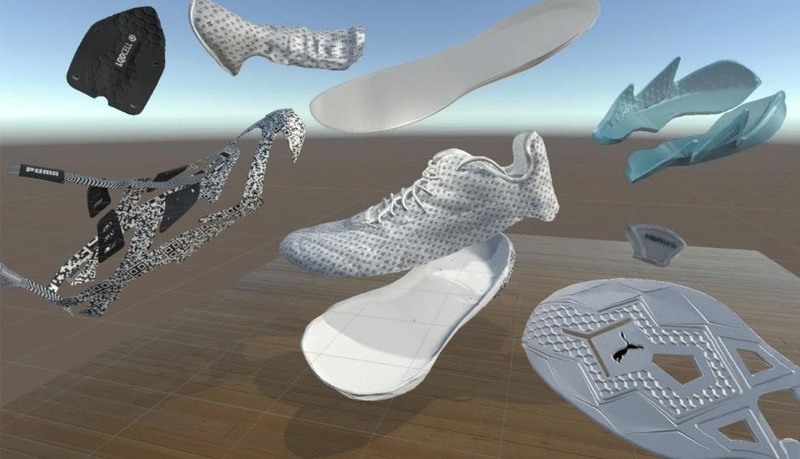 Sneakers have been the subject of numerous AR innovations over the years. Nike has used AR to sell limited-edition sneakers, advertise its gear through Snapchat and Facebook, and enable customers to see customized shoes. Adidas has also adopted AR for selling shoes and apparel via Snapchat, as well as enhancing the in-store customer experience with content built on Adobe's Project Aero. Most recently, the Wanna Kicks app gave customers the opportunity to try on virtual sneakers on their own feet. Puma isn't even the first company to experiment with AR-activated shoes. Two years ago, Japanese shoemaker Onitsuka Tiger released AR-enhanced footwear via the Anrealage Monte Z, the first pair of sneakers to serve as the canvas for AR content. As one of the top-selling brands in athletic footwear, Puma taking the plunge into AR is much more notable. However, on the purely subjective side of things, it looks like Puma has taken the Google Glass approach to AR wearables, where the function of AR gets in the way of the fashion of the wearable. 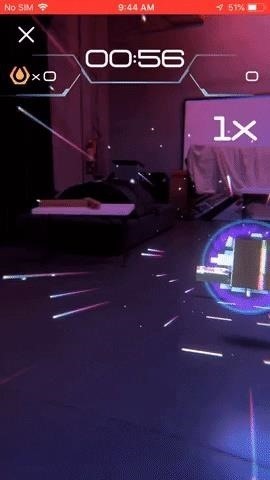 As it turns out, according to a company spokesperson, the QR code is actually does not play a role in the AR experience. 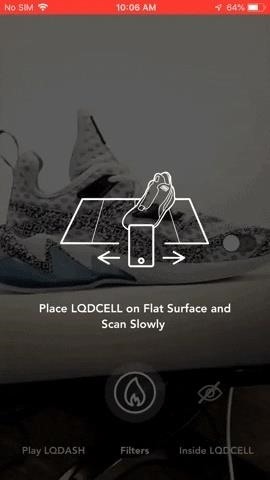 The LQD Cell app actually uses machine learning and object recognition, with thousands of pictures taken of the shoes to enable the app to identify the shoes on sight. 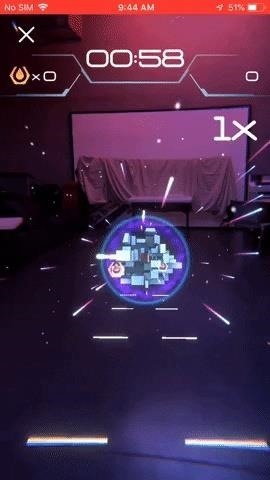 The app is even able to unlock AR effects based on pictures of the shoes. Being a skeptic, I attempted to scan the shoes with a QR code scanner and, sure enough, they do not scan. Future editions of the shoes will not have QR codes, but the AR app will still be able to recognize them. 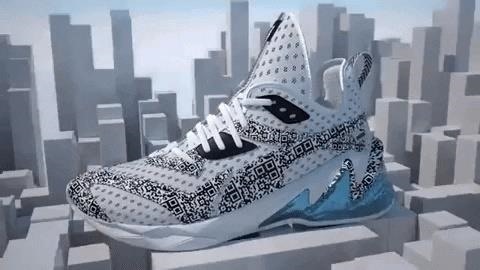 So, it is possible to make a shoe that looks good and makes AR experiences possible, and the QR codes on these shoes are purely an aesthetic design choice. Maybe I missed something coming out of Paris Fashion Week that said QR codes are "in" this Spring? Apparently, Zubaz, the garish, striped pants of the '90s, are making a comeback, so I guess anything is possible.